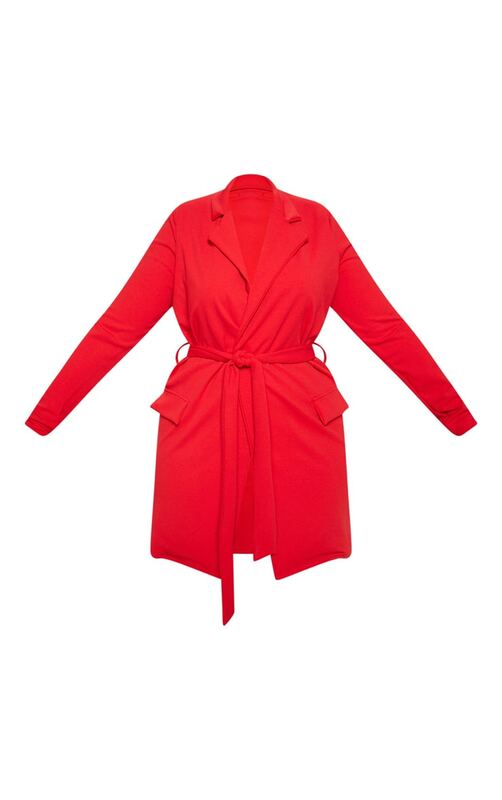 This fierce red blazer is everything you need for that big occasion. Featuring pocket detailing and a tie waist. Wear this alone with a pair of clear mules for a sultry outfit this weekend that's sure to get heads turning.